St. Croix-based financial consulting firm Cane Bay Partners VI, LLLP is sponsoring Team Cane Bay VI in the Seventh Annual Scenic 50 Race to be held this Sunday, Jan. 24. 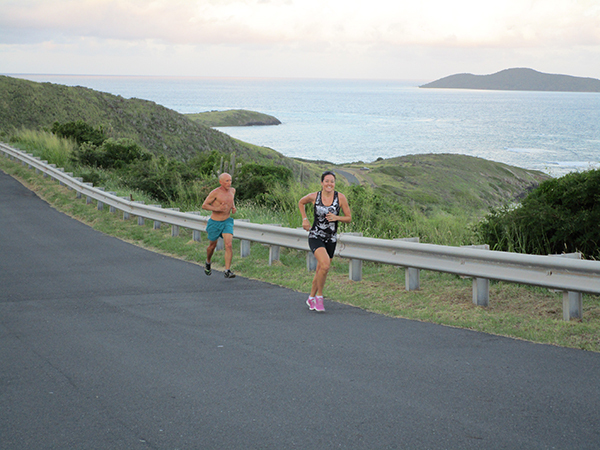 The race goes from sea level up to 900 feet elevation, beginning in Christiansted and going to Frederiksted and back. Cane Bay Partners Co-CEO Kirk Chewning also hosts participants of the annual Ironman Triathlon. Cane Bay Partners is proud to put its support behind team members Colleen Chin, Esther Ellis, Robin Seila and Julie Sommer, and to be part of such a challenging and uplifting event on the island of St. Croix. The course goes from Christiansted to Frederiksted and back east to finish up on Mermaid Beach at The Buccaneer Hotel. The Scenic 50 includes an individual 50-mile run, a four leg 50-mile team relay and an individual 50-kilometer run. Registration will take place between 10 and 11:30 a.m. on Saturday, Jan. 23. On Sunday, the 50 mile individual and team relay races will begin at 5 a.m. and the 50 km race will begin at 7 a.m. There will be an awards breakfast at The Buccaneer Monday at 7:30 a.m.
Cane Bay Partners is committed to supporting enriching sporting activities. In addition to the Scenic 50, the company also supports the Captain Morgan Ironman 70.3, the Roseway World Ocean School, the Golden Hook Fishing Club, the Virgin Islands Bowling Federation, St. Croix Dolphins, the St. Croix Foundation VIPD Golf Tournament, the Special Olympics, the Police Athletic League, Frederiksted Community Boating and others.